Many owners will tell you that their dog is more than just a pet — they are family. They become a big part of our daily lives, and we form a strong emotional bond with them that we will never forget. But owning a dog also means that it takes a little extra work to keep a clean house. Dealing with dander, fur, saliva and odor are imperative if you or someone in your household has allergies, but it’s also important to control them if you ever want to have guests over. 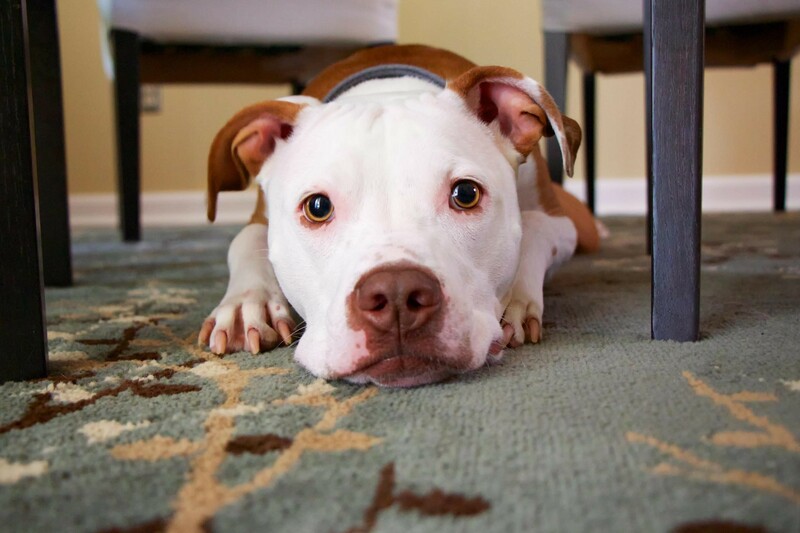 Here are six budget-friendly steps for keeping a clean home when you have dogs. Dog owners know that you can sweep and vacuum your heart out, only to find that the fur is back with a vengeance in less than 12 hours. That’s why it’s important to vacuum at least twice a week. Daily is optimal, but that’s an unrealistic goal for many families. Try to mop your hard floors once a week. Also, since carpet harbors pet dander and fur, you’ll want to give them a good steam clean every few months. Purchasing an air purifier will prove to be one of your best investments for controlling the pet dander in your home. However, air purifiers are not a one-size-fits-all. There are certain purifiers that are better suited for pet homes than others. For example, purifiers with a pre-filter and True HEPA filter are typically the best choice, and it’s wise to regularly clean and maintain your purifier so that it can do its job. Before making a purchase, do your research and read reviews to choose a model within your budget with features that will work best for your needs. Some dogs never get baths and smell great. But most breeds need baths, not only for the odor, but for the dander and fur as well. Though every breed is different, a general rule of thumb is to bathe your dog monthly. If you want to wash them more than once a month, it’s good to use a soap-free or moisturizing shampoo to avoid drying out their skin. If your dog is prone to skin problems, check with your vet about how often you should bathe them. Wiping their paws might sound like common sense. After all, the less debris your dog brings in with them from outside, the cleaner your home will be. But wiping their paws each time they come back into the house is a discipline easily forgotten, and outdoor debris quickly accumulates throughout the home. Keep a designated towel somewhere near the door and remain vigilant in safely wiping their paws down every time. A good doormat also helps. If you want to take it a step further, you can teach your dog to wipe their own paws. Along with controlling dander, fur and saliva, keeping your furniture and floors from suffering thousands of scratch marks is also part of keeping a clean home. Not only will keeping your dog’s nails trimmed help mitigate such scratches, it’s also important for their health. You don’t want your dog’s long nails causing them discomfort. Finally, wash all of your dog’s things — including their bedding, food and water bowls and toys. All kinds of unwanted organisms set up house on your dog’s bed, blankets and pillows, so washing them once a week or every two weeks will help make sure that doesn’t get out of control. The same goes for their bowls and toys. Bacteria quickly accumulate on these items, and you don’t want saliva sticking to the floors and walls. Aim for washing the toys once a month and bowls once a day. Furthermore, stay aware of when it’s time to throw out your dog’s bedding, bowls and/or toys. It may take a little more work to keep a clean home when you’re a dog owner, but it’s totally worth it. Remember to adequately vacuum and clean your floors, purchase a good air purifier, and bathe your dog regularly. Also, wipe their paws when they come in from outside, keep their nails trimmed and wash their belongings. You can make it easier on yourself by making these steps a part of your lifestyle. Jessica is a dog lover and creator of OurBestFriends.pet. She created the site to offer a place for animal lovers to share their favorite pet photos and stories about their furry pals. Jessica believes dogs are the best creatures on earth. She enjoys writing about and sharing photos of dogs (and other pets!) on her website.